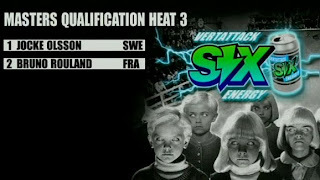 The qualification days of the Malmo Vert attack are done. Tomorrow is the big deal. We only have partial information and that’s not too serious (because we were not able to gather the complete results) but we decided to publish what we have anyway. Actually, there was even a post on FB from John Magnusson himself saying ”Sorry for the lack of updates here. We have problem connecting to Facebook from the office. Watch the webcast and you will see it all. Start tomorrow again at 13.00 local Malmö time! 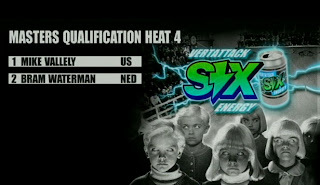 The semifinal heats looking insane!” Well… Fortunately, we also have Fred Ferrand over there and he is sending us tips. Thanks for that… Fred told us that Fejj badly landed on his shoulder during the day and nobody is really sure if he can skate tomorrow. Time will tel. Also, sounds like Duane Peters is giving a second meaning to the word disaster. Today, it seemed that the Master of the stuff looked like Jack Sparrow fighting old ghosts on his Corvette, but Duane has been like this for some time now, so it’s not new. When he is skating the Pro-Tec, he always looks like a disaster waiting to happen but at the end, he still skates like he is in his mid twenties. And we love him for that reason. So go Fejj and go Duane. Hope you can both make it tomorrow. The good news is that the only 2 French guys were qualified for tomorrow. Jean Postec and Bruno Rouland finished respectively #1 and # 2 of their runs. Jean Postec is well known for skating down in San Diego and Bruno Rouland is a die hard skater from the south of France that has been involved in skateboarding since he left his mother’s womb. He went through a lot of ups and down during the last 20 years and we are stoked to see him coming back.